What is a cottage garden plant? In this chapter, we discover which commonly available, easy to grow perennials are key to creating the effusive look so characteristic of cottage garden style. I divide these plants into Features, Fillers and Edgers. 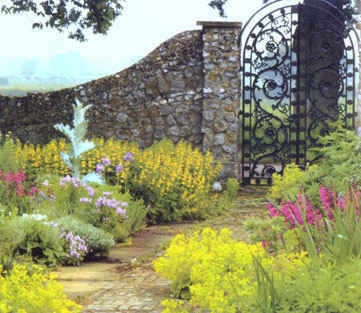 Though not mutually exclusive, these terms give us a framework for selection and placement, with lots of ideas for plant combinations in borders, under roses and along path edges.